Heroic Daily Story: Complete 3 Daily Story missions. Weekly Vendor Challenge (Petra): Complete 3 Weekly Bounties on the Dreaming City. Daily Heroic Adventure: Check in-game to see where and what the adventure is. View the Last Wish raid page for guides and more information, please keep in mind I am currently updating this page so more details will be added periodically. Challenge Requirement: Activate all four plates at the same time and before doing any damage to Calus. 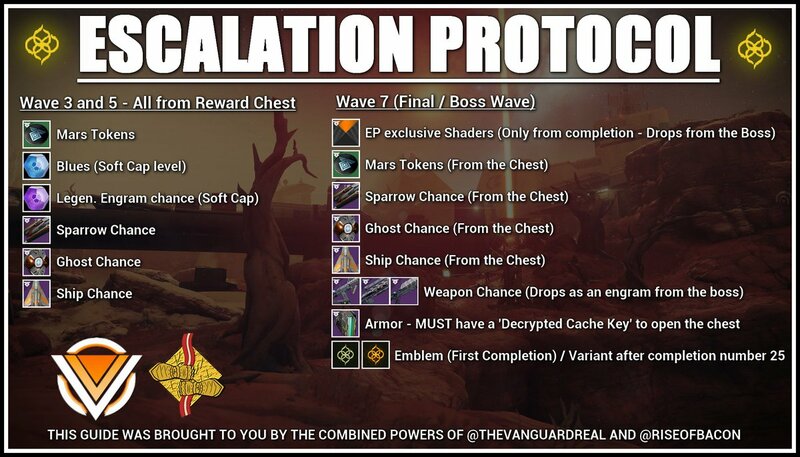 Guaranteed Challenge Rewards: A Raid Specific Item, Challenge Mode Emblem, and Tokens. Weapons have no reserve ammo. Emptying the clip of a weapon refills the clips of your holstered weapons. Note: Rewards may drop higher (possibly at least at the soft cap of 500) however I still need to confirm this. Complete various activities on the Tangled Shore including public events, Lost Sectors, and Heroic adventures. Complete 5 matches in the Crucible. Earn 5,000 XP for your clan – Complete clan bounties to earn XP. Weapons: All weapons can drop this week! Make sure to pick up bounties, Saladin has one that rewards powerful gear! Info from Bungie’s TWAB post: Enabling Power advantages is not the only change coming to Iron Banner. Lord Saladin will present seven weekly bounties for you to complete. Each bounty rewards you with an Iron Banner-themed reward, and two of these bounties in particular grant powerful rewards. There are no exceptions: All Iron Banner-themed weapons and armor have the chance to be rewarded when bounties are completed. The original Iron Lord will also be offering armor for direct purchase, as well as two weapons with unique rolls per event. You can gain access to purchase these items by completing their associated bounties. If you have tokens left over from Season 3, these may be redeemed in Season 4 for reputation packages. As with bounties, all Iron Banner-themed weapons and armor may be earned through reputation packages from Lord Saladin. To wrap up rewards, post-match drops are also returning to Iron Banner. Both Crucible and Iron Banner rewards will drop at match completion. Started with Destiny 2: Forsaken. The first offer is for any player who signs up by opting in and verifying their email and completes the Destiny 2: Forsaken campaign by the end of September will receive a free digital download of the Destiny 2: Forsaken Original Soundtrack, 110 minutes of music plus two bonus tracks from the Whisper of the Worm quest that are available only through this offer. As the Season of the Outlaw rolls on, Bungie Rewards will offer additional collector’s items to earn, acquire and unlock that are uniquely crafted to commemorate various tiers of in game accomplishments. To sign up, you can visit the Bungie Rewards page now. As new offers are added to Bungie Rewards, we’ll update the page with more details. In addition to Bungie Rewards going live, Bungie will also be giving away the Pursuit of Dreams in-game Destiny 2 emblem with any purchase from the Bungie Store now through November 28. Available Now! To buy Forsaken and get more details: CLICK HERE! 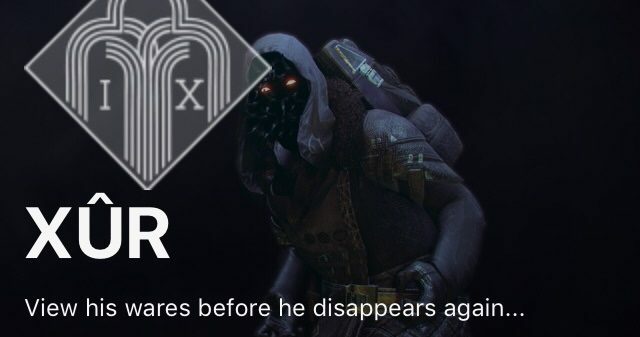 For more Forsaken guides click here. I hope you all are enjoying Forsaken and have a great week!